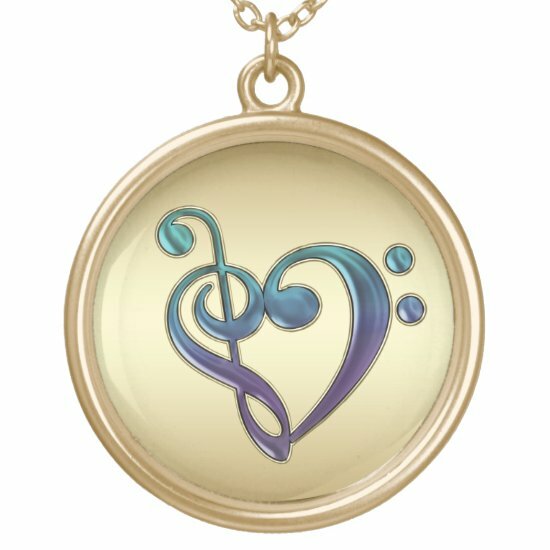 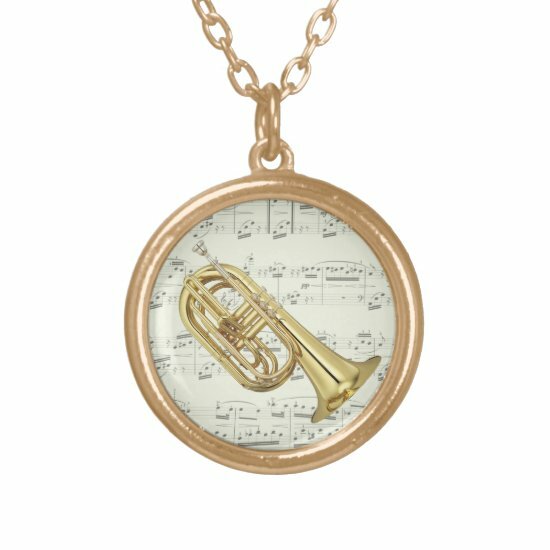 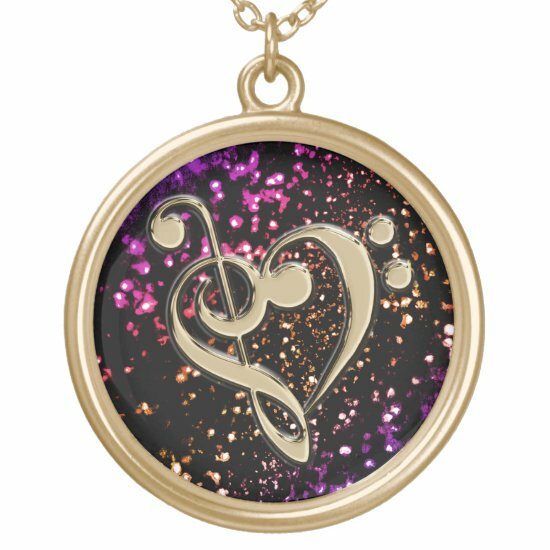 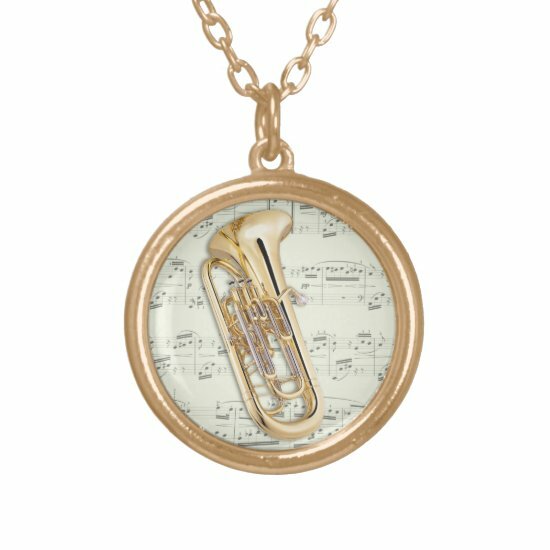 Golden musical notes, a violin, romantic roses and sheet music, colorful piano keys, retro vinyl and grunge electric guitars feature in this collection of gold finish pendants and lockets with designs for musicians and music lovers. 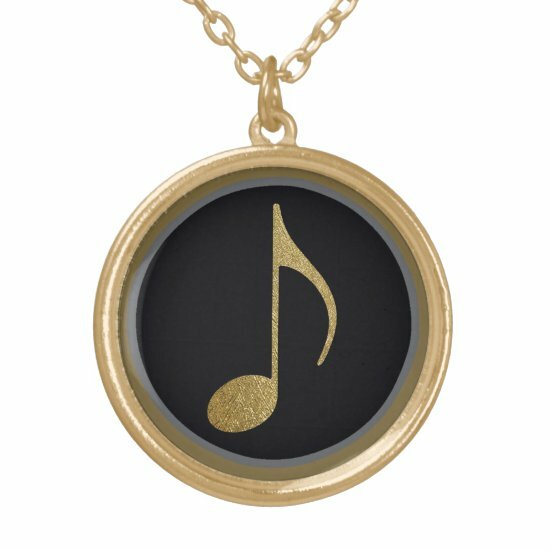 A unique music design featuring musical notes in a printed rustic gold effect in an oval shape on a black background. 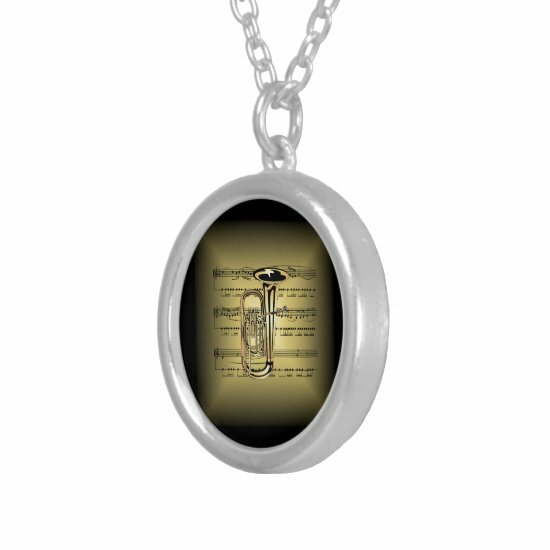 An ideal gift for the music lover. 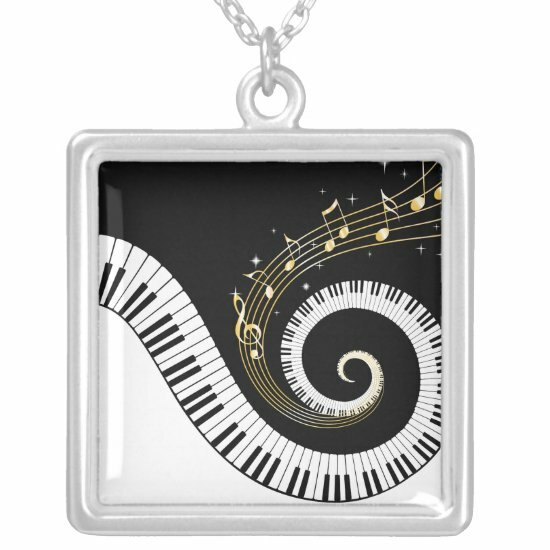 A beautiful and stylish musical design featuring three red rose buds laying on a crisp white music score. 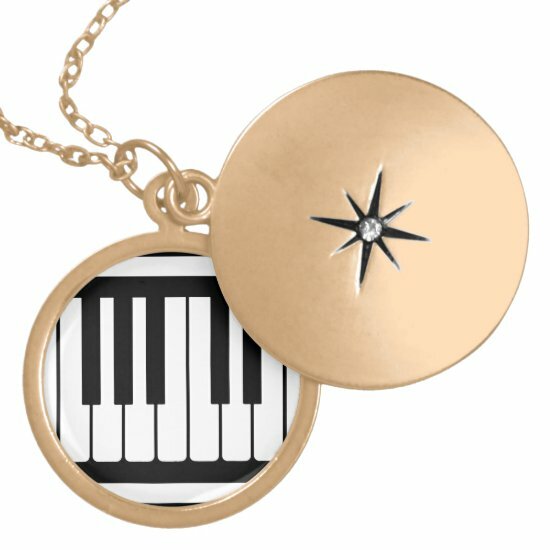 Bringing romance and music together. 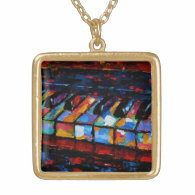 The perfect necklace for the pianist in your life with an artistic image of colorful piano keys. 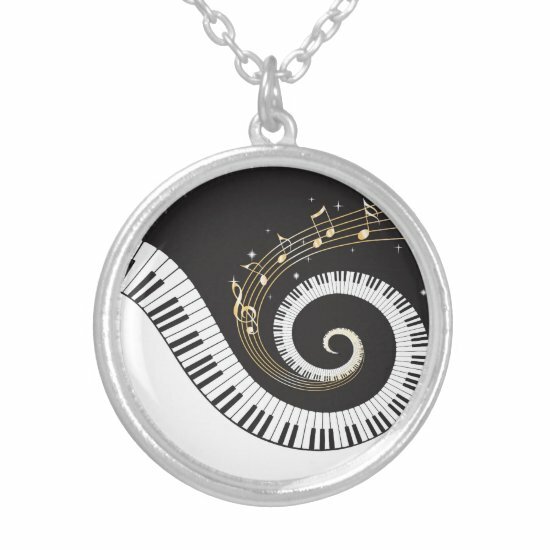 Bring a touch of color to your piano filled life. 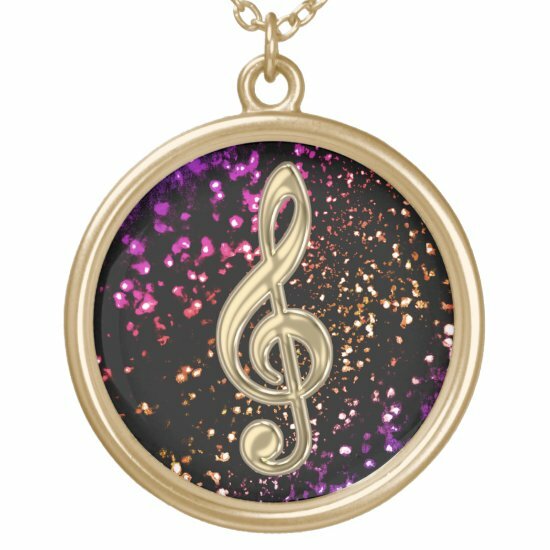 A romantic vintage music design for the music lover featuring pink roses and music score. 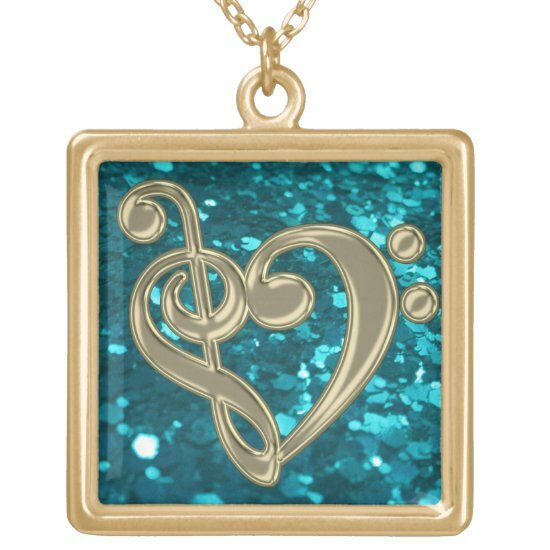 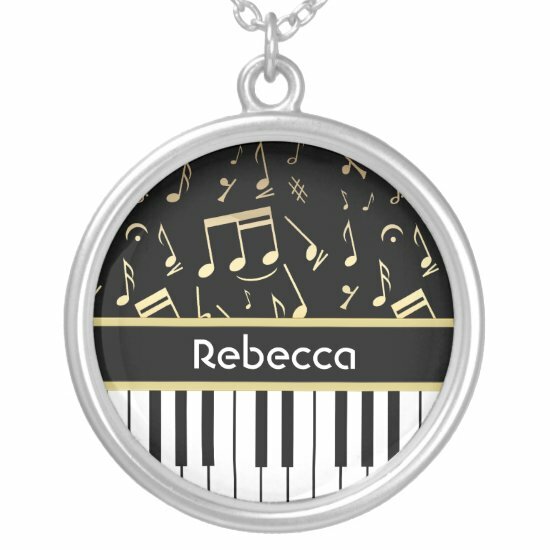 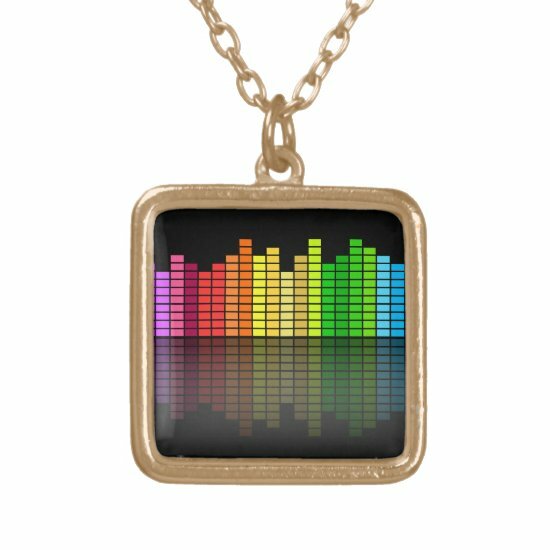 This music necklace is perfect for sharing your love of music. 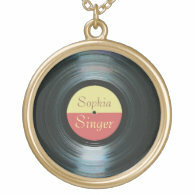 A necklace for the retro music lover featuring a vinyl record. 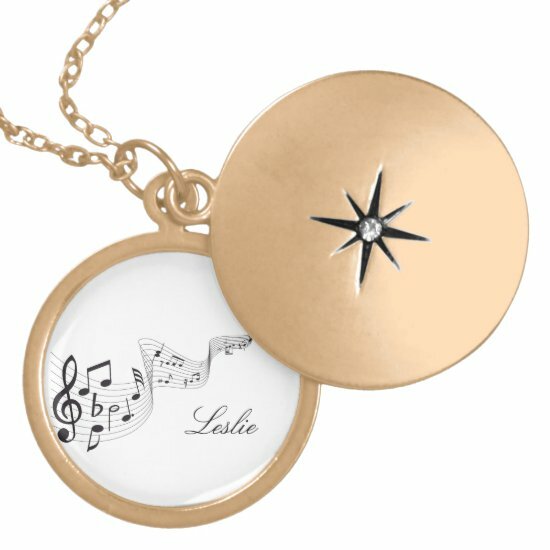 The text on the label can be customized to create a unique and personalized necklace. 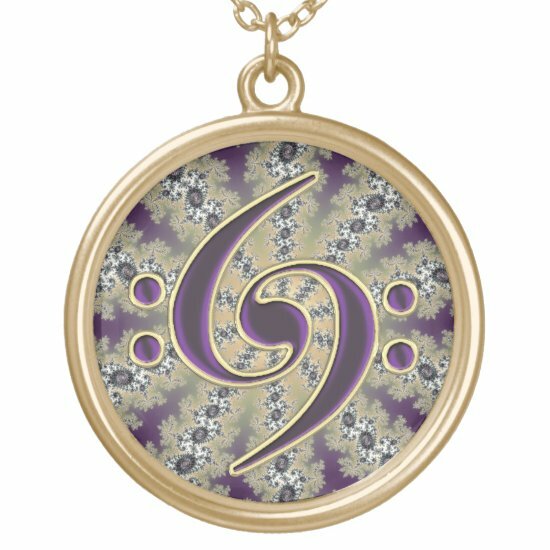 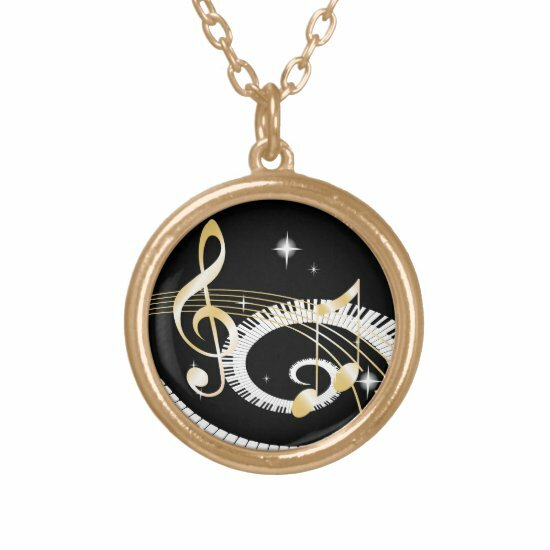 Musicians and music lovers will adore this necklace with a black and gold metallic double spiral bass clef on a radiating sun background in shades of red. 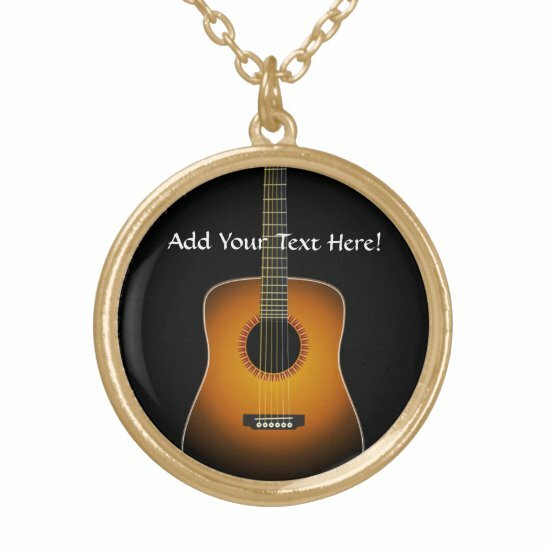 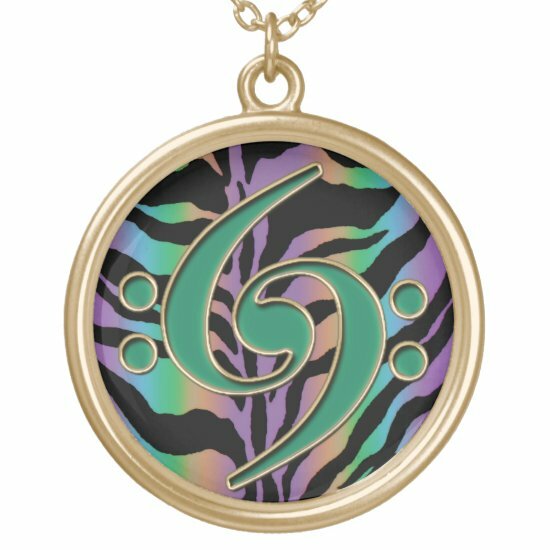 A grunge style necklace featuring an image of two crossed electric guitars on a retro starburst background in pink, blue, green and red. 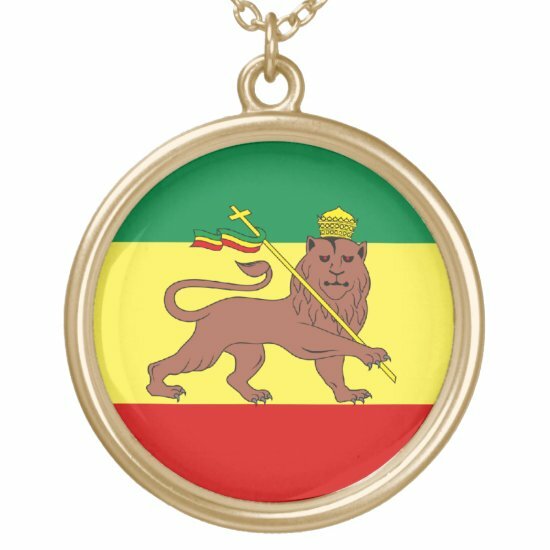 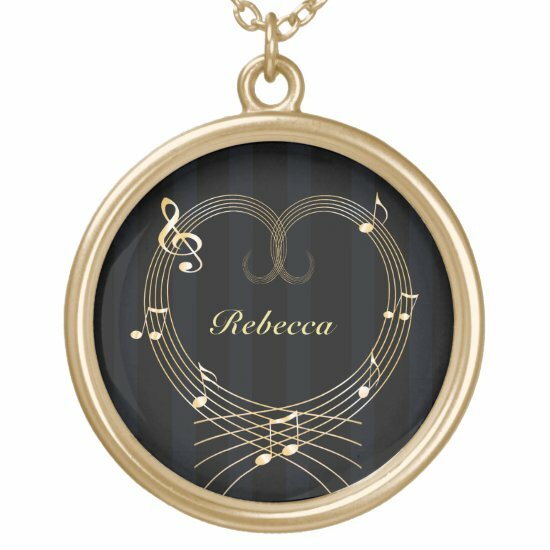 A collection of pendants and lockets with a gold finish featuring musical designs. 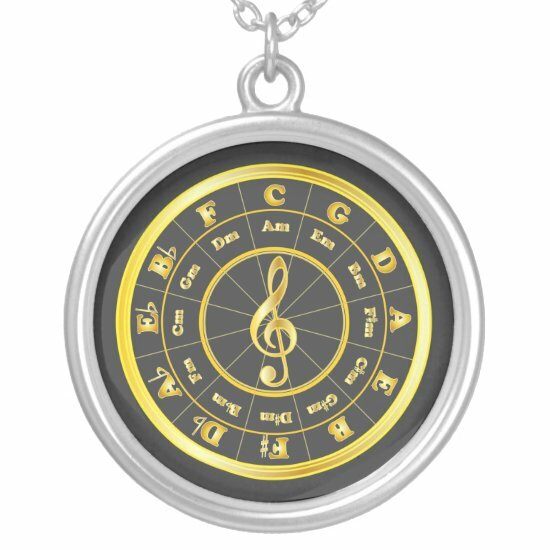 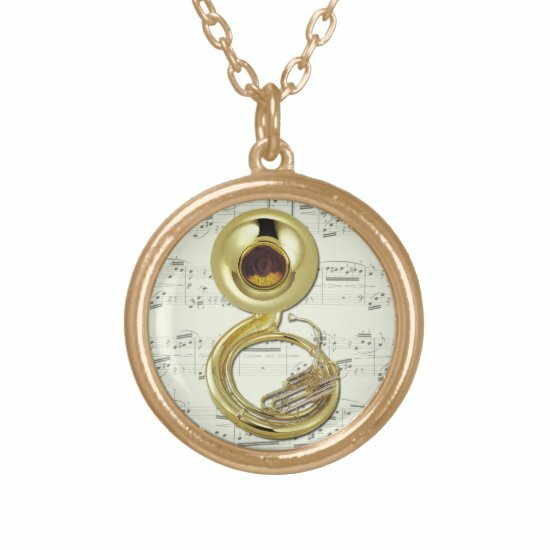 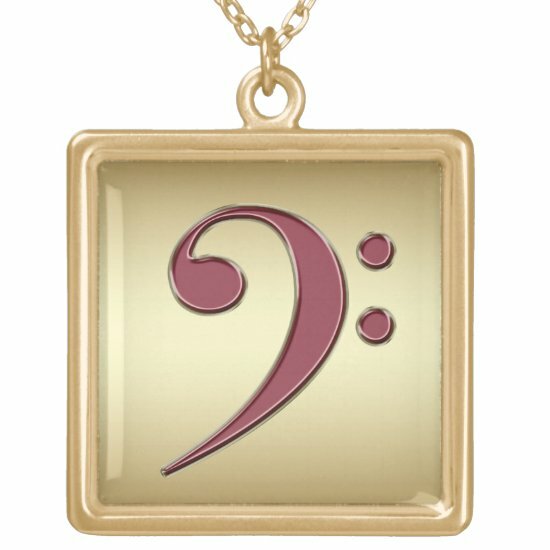 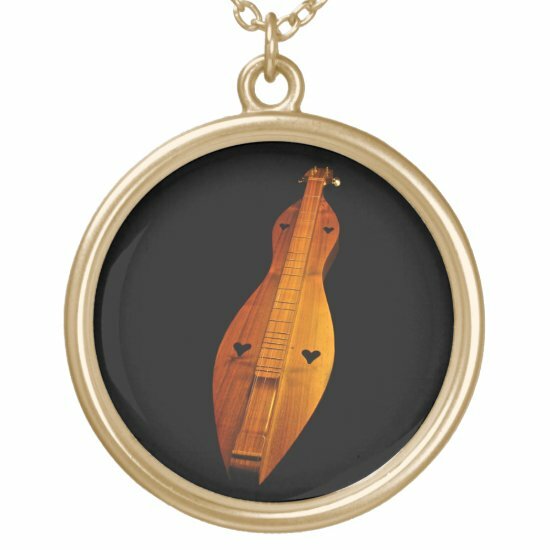 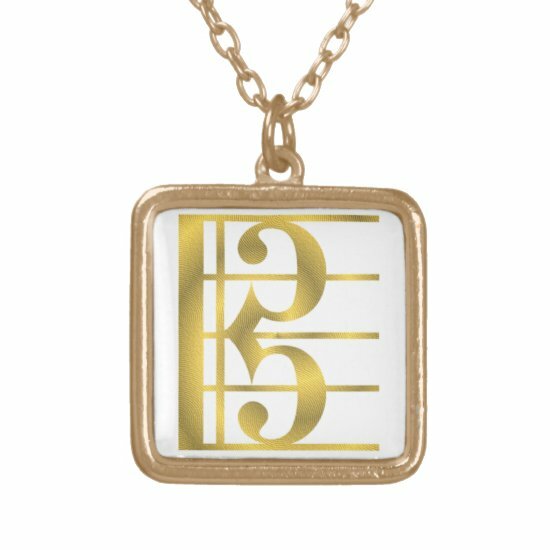 Music notes and musical instruments abound in this range of lockets and round and square pendants. Available in a range of sizes.